At the recent Green Market Summit on September 14, 2018, a group of top cannabis industry professionals discussed The Economics of the Cannabis Consumer. David Dancer, Chief Marketing Officer at MedMen, Jeff Stein Managing Partner at Consumer Research Around Cannabis and Bethany Gomez Director of Research at Brightfield Group talked about which consumers were the most loyal cannabis consumers and what they bought. being illegal purchases. Read more in the Economics of Cannabis Consumers report. 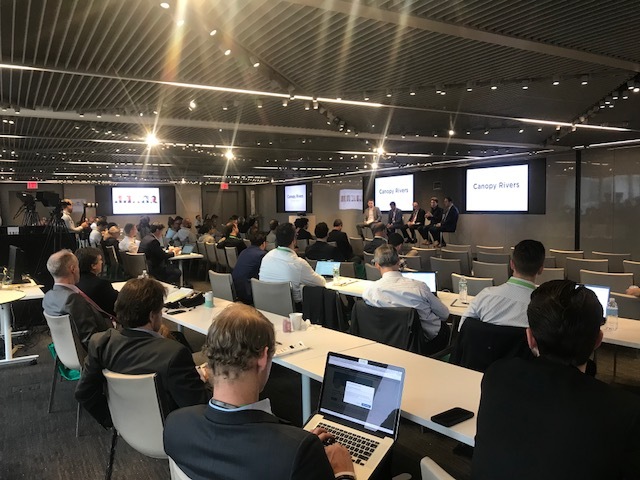 The Green Market Report hosted its first conference the Green Market Summit on September 14, 2018, at One World Trade Center in New York City. 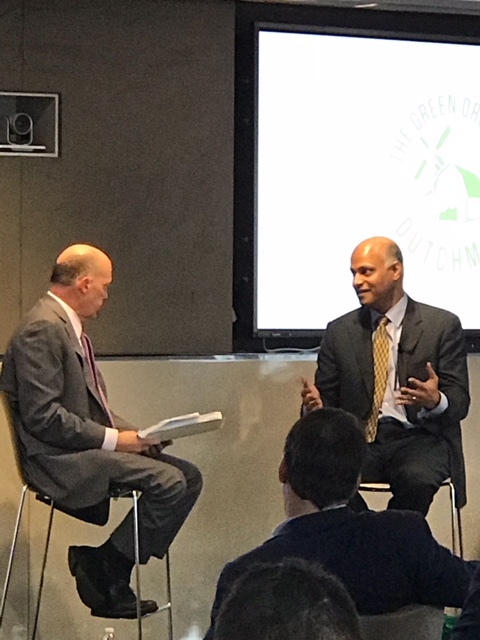 The highlight was a keynote interview between TheStreet’s founder Jim Cramer and The Green Organic Dutchman (TGODF) CEO Brian Athaide. Famed trader Danny Moses is featured as well as some of the top cannabis companies in the industry. In 2007-2008 the US housing market crashed and a few, very prescient investors were able to “short” the market and make a killing. One of these traders, Danny Moses, featured in Michael Lewis’ book The Big Short has pivoted from housing to cannabis and has since called this nascent market “The Big Long”. 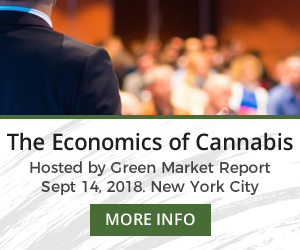 Moses was interviewed at the first annual Green Market Summit on September 14, 2018 in New York City by Lewis Goldberg, Managing Partner at KCSA Strategic Communications, the largest investor and public relations firm operating in the cannabis industry. The Green Market Summit hosted by the Green Market Report on September 14, 2018, featured a panel that looked into the effect of a legalized adult use marijuana market on existing medical marijuana markets. Panelists included Adam Orens of Marijuana Policy Group, Jeannette Horton and Jessica Billingsley from MJ Freeway and Emily Paxhia of Poseidon Asset Management. The panel resulted in a new report issued at the Summit titled, “The Economics of Adult Use Marijuana on Medical Marijuana Markets.” The findings from the data provided by MJ Freeway noted that instead of adult use legalization cannibalizing medical marijuana markets, the medical markets turn out to be very resilient. Following a thought-provoking discussion on the state of cannabis banking was a discussion panel on the international cannabis market, moderated by Sean McNulty, Principal and Co-Founder of XIB Financial Inc. 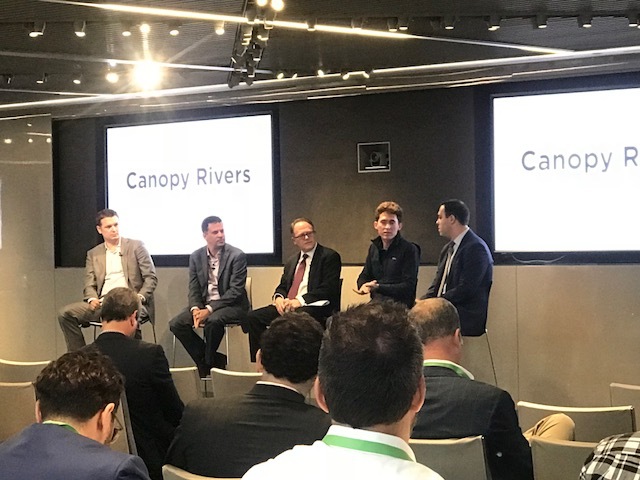 The panel featured Peter Miller of Slang Worldwide; Daniel Pearlstein, Vice President of Strategy at Canopy Rivers Corporation; Jason Wild, Chairman of the Board of Directors at TerrAscend; and Jonathan Rubin, the CEO of New Leaf Data Services. The discussion opened by examining the idea of Canada as a beachhead for cannabis companies to launch their products and the need for consistency, quality products, and common-sense regulation. Taking a nuanced position, Rubin stated that in many ways Canada is a beachhead for the industry but that there are also ways in which it is not. 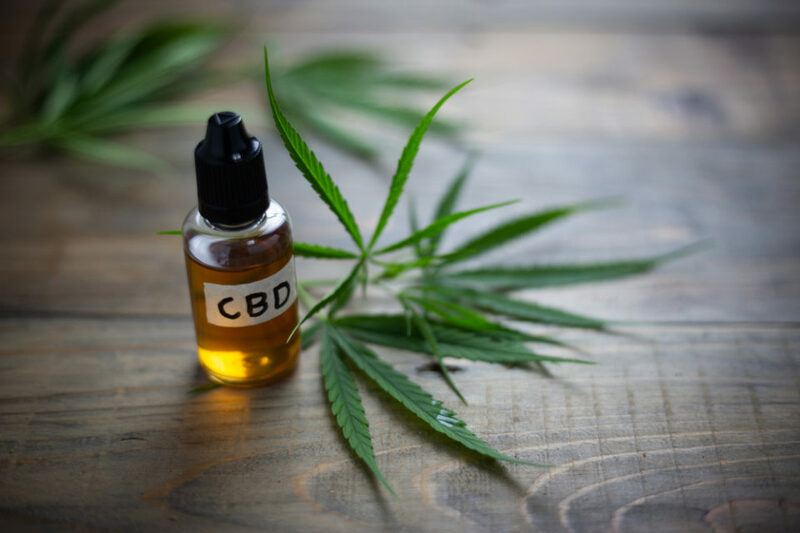 Turning towards cannabis pricing, the conversation began to focus on the idea of cannabis as a commodity and how in the future the most expensive part of a cannabis product may not be the cannabis itself. 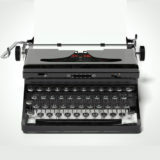 Wild speculated that the industry would start to resemble pharmaceutical industry in at least one particular aspect. Looking forward to the global cannabis industry, questions arose as to what this international landscape would look like over the next several years. Admitting that it may not be the most exciting answer, Pearlstein said that it would depend on each individual country. Closing out the discussion, the panel took up the potential issue of cannabis prices bottoming out and how that would affect the industry in Canada. Miller stated that, like in Oregon, cannabis prices would most likely continue to decline as the market matures and those cannabis companies will have to find other ways to distinguish themselves besides pricing or potency. Stay tuned to find out more about happened at the Green Market Summit, as the Green Market Report gives you an in-depth look at the event throughout the week. Will the world of banking ever catch up with the marijuana industry? That was one of the many questions asked and answered at the Green Market Summit, which took place on September 14, 2018. The culmination of these experts has led to the publication of The Economics of Cannabis Banking by the Green Market Report. Starting off the summit was a discussion panel on the state of banking in the marijuana industry, moderated by Tahira Rehmatullah, Chief Financial Officer of MTech Acquisition Corp. The panel featured a distinguished collection of marijuana and financial experts, including Matt Karnes, Founder and Managing Partner of GreenWave Advisors, LLC; Tyler Beuerlein, Executive Vice President of Business Development at Hypur Inc.; and Andre Herrera Vice President of Banking & Compliance at Hypur Inc. The discussion began with Herrera laying out how marijuana businesses are defined under the FinCen document BSA Expectations Regarding Marijuana-Related Businesses, explaining that there are three different tiers. The first tier involves operators that directly touch the cannabis plant, such as cultivators. The second tier is understood as businesses that provide ancillary services to the industry. The third tier provides professional services to the industry, such as real estate agents or software providers. Quickly the panel turned its focus towards the landscape that many marijuana-related businesses face, and why many financial institutions are hesitant to work with the industry. Beuerlein went on to emphasize the importance of transparency when it comes to marijuana-related businesses banking with financial institutions and how his company, Hypur Inc., helps increase that transparency through its technology platform. The conversation then started to turn towards the future of marijuana-related banking and the future of companies like Hypur that help facilitate relationships between financial institutions and the marijuana industry. Karnes was positive about the future, stating that marijuana would be treated like any other business once prohibition is over; although he did note that there would still be a need for companies like Hypur, albeit to a lesser extent. When asked about the idea of creating a financial institution solely for the purpose of banking with the marijuana industry, however, Karnes was less than optimistic. Bookending the discussion, Herrera presented a positive outlook for the future of marijuana-related banking regardless of whether prohibition is quickly ending, noting that conditions are drastically different from where they were several years ago. Stay tuned to find out more about happened at the Green Market Summit, as the Green Market Report gives you an in-depth look at the event throughout the week. For a general recap of the event, please click here. 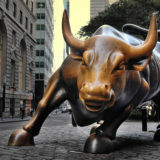 The sun shone bright in New York City as Green Market Report hosted the inaugural Green Market Summit. Taking place at the One World Trade Center in downtown Manhattan, the event brought together some of the cannabis industry’s leading voices in branding, banking, data, and investment. Starting off the event with a catered breakfast, the event quickly moved towards a discussion panel on cannabis banking moderated by Tahira Rehmatullah, Chief Financial Officer of MTech Acquisition Corp, and featuring Matt Karnes, Founder and Managing Partner of GreenWave Advisors, LLC; Tyler Beuerlein, Executive Vice President of Business Development at Hypur Inc.; and Andre Herrera Vice President of Banking & Compliance at Hypur Inc. Taking attendees through the complicated world of cannabis banking and compliance, the panel dispelled many of the myths surrounding the relationship between cannabis businesses and financial institutions. Following the panel was a discussion on the economics of international cannabis companies. The discussion was moderated by Sean McNulty, Principal and Co-Founder of XIB Financial Inc., and featured Peter Miller of Slang Worldwide; Daniel Pearlstein, Vice President of Strategy at Canopy Rivers Corporation; Jason Wild, Chairman of the Board of Directors at TerrAscend; and Jonathan Rubin, the CEO of New Leaf Data Services. Focusing on the need for fine-tuned regulation and the infrastructure needed to support the growing international cannabis trade, the panelists shared their insights and personal experiences in operating on a global scale. In the keynote event, legendary financial analyst and founder of TheStreet, Jim Cramer, went one on one with The Green Organic Dutchman (TGOD) CEO Brian Athaide in an exclusive interview where they discussed market trends, TGOD’s successful IPO, and how the company plans to position itself in the highly competitive cannabis industry. After enjoying a catered lunch provided by Acreage Holdings, attendees learned about the surprising relationship between the adult-use and medical cannabis market. Led by Marijuana Policy Group co-founder Adam Orens, the discussion included Emily Paxhia, Founding Partner & Managing Director at Poseidon Asset Management; Jeannette Ward Horton, Vice President of Global Marketing and Communications at MJ Freeway; and Jessica Billingsley, CEO, and Co-Founder of MJ Freeway. Utilizing data collected from four U.S. states, the panel demonstrated and discussed the complementary effect of adult-use cannabis market on medical cannabis sales and what that means for cannabis businesses going forward. Mike Brown, Assignments Editor at TheStreet.com, then led an in-depth examination of cannabis consumer market trends with Bethany Gomez, Director of Research at Brightfield Group; Jeff Stein, Vice President at Consumer Research Around Cannabis; and David H. Dancer, MedMen Enterprises’ Chief Marketing Officer. Diving into how cannabis consumers relate to retail, the discussion examined how market trends can influence business decisions and investment in the cannabis industry. Dovetailing off of the previous panel, Vivien Azer, Managing Director of Cowen and Company, LLC, moderated a dialogue on cannabis e-commerce which featured Scott Boyes, CEO of MPX Bioceuticals; Peter Gigante, Head of Policy Research at Eaze; and Sean Dollinger CEO of Namaste Technologies. Using consumer data provided by Eaze, the discussion panel examined the myriad of rules for cannabis e-commerce, how companies can make the most of it, and what it all means for the future of the cannabis industry. Rounding out the event was a one on one discussion between Lewis Goldberg, Managing Partner at KCSA Strategic Communications, and Wall Street Veteran Danny Moses, who was most famously featured in the best-selling book and film “The Big Short.” From cannabis stocks to Elon Musk, Moses and Goldberg’s discussion covered a litany of topics; illuminated by both speaker’s knowledge and experience. 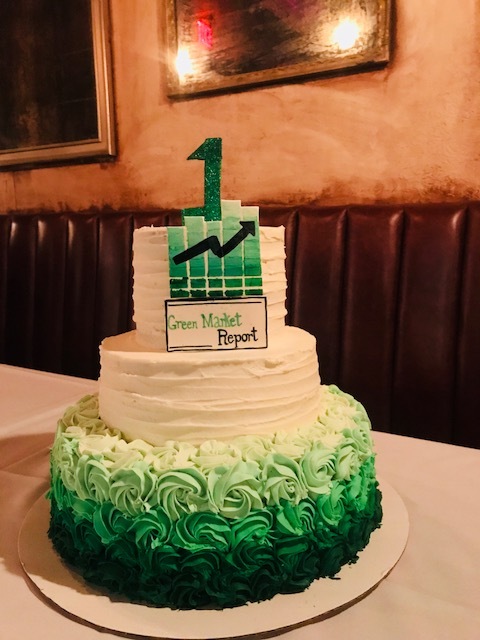 As the Green Market Summit came to a close, attendees and speakers were invited to an exclusive reception sponsored by MPX Bioceuticals at Trinity Place Restaurant and Bar in downtown Manhattan to celebrate the one-year anniversary Green Market Report. Throughout the week, Green Market Report will take you deeper into the Green Market Summit. Stay tuned as we provide you with a more detailed breakdown of all the events and panel discussions from the summit. 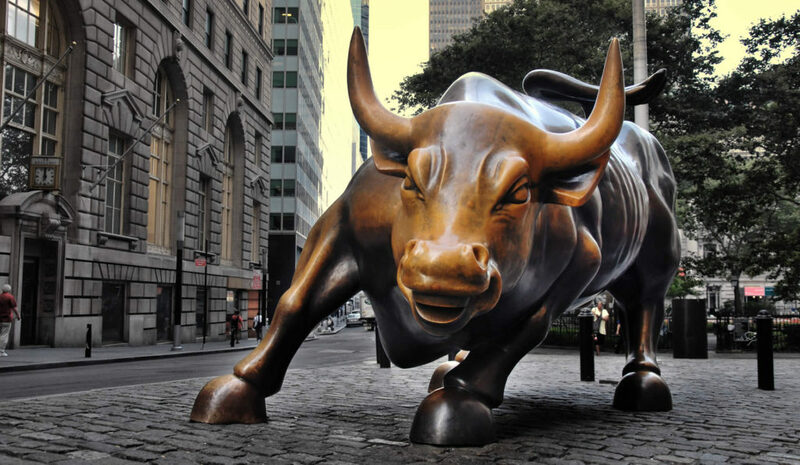 The Green Market Summit, The Advanced State of Cannabis Economics on September 14 at the One World Trade Center is attracting some of the top female executives in the cannabis industry. Early industry pioneers Jessica Billingsley and Jeannette Horton from MJ Freeway will come rolling into the Summit with some eye-opening data. Billingsley and Horton were some of the first leaders to recognize the technological challenges of the marijuana industry. Billingsley, along with Amy Poinsett who is now chairwoman of the board created a seed-to-sale tracking system in an industry when no other tech companies want to work with cannabis companies. They have persevered throughout the ups and downs of entrepreneurship. These two strong women have continued to fight the good fight no matter what has come their way. The Summit can’t wait to hear what new data they will uncover. Emily Paxhia from Poseidon Asset Management is also a pioneer in cannabis investing. While other financiers were too leery and cautious to believe that this new thing called the cannabis industry would ever amount to anything, Paxhia and her brother Morgan jumped in with enthusiasm and excitement. Paxhia brought a sense of integrity and professionalism to the investing landscape. Without their early support, many companies wouldn’t be here today. Vivien Azer, Senior Research at Cowen & Company is moderating a panel on the Economics of Cannabis and the Internet. Azer was a trailblazer too when it came to analyzing cannabis companies. She had the vision to recognize that this was an industry to watch and knew that it warranted traditional Wall Street analysis. Azer is a well-respected analyst and with her team does the hard work of digging deep to uncover all the details necessary to understand the industry and the companies they cover. 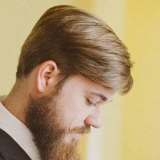 The Summit is thrilled to have Azer join the event. Tahira Rehmatullah of M-Tech Acquisitions is considered one of the finest minds in the cannabis industry today. Rehmatullah can size up a cannabis company in minutes with her sharp analysis. She brings to the table a Masters degree from Yale and numerous high-level cannabis positions like being an Investment Manager at Privateer and General Manager at Marley Natural. She is now a Managing Director at Hypur Ventures and the CFO at M-Tech Acquisitions. She is moderating the Banking panel at the Summit. Bethany Gomez is Director of Research of Brightfield Group and joins the panel on the Economics of the Cannabis Consumer. Gomez is adept at using a wide range of methodologies, ranging from expert interviews and targeted consumer surveys to leveraging big data and statistical modeling. She is the one to call if you ever need any data! This will be the first cannabis conference attended by TheStreet founder Jim Cramer. In another first, Cramer will be interviewing Brian Athaide, the new CEO of The Green Organic Dutchman (TGODF). 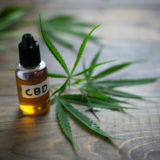 The two will discuss cannabis company valuations, the future of cannabis beverages, international markets and much more. In addition to that, Danny Moses of Moses Ventures will explain to KCSA’s Lewis Goldberg why he is long marijuana. Moses was the head trader at Frontpoint, which was made famous by the book and the movie The Big Short. If you didn’t see or read The Big Short, these traders identified the financial crisis ahead of everyone else and were able to capitalize on the signs they saw. What does Moses see in marijuana? Come and find out. The Economics of Cannabis Banking features cannabis processing company Hypur Inc. Tyler Beuerlein of Hypur knows all the ins and out of how cannabis companies are actually conducting business. If you can’t move money around, you’re business will be crippled. Hypur knows and will be joined by Andre Herrera of Hypur, Matt Karnes, founder of GreenWave Advisors, who has written extensively about cannabis banking. The Economics of International Cannabis is going to be covered by Daniel Pearlstein of Canopy Rivers. This company is the venture arm of the wildly successful Canopy Growth (CGC). 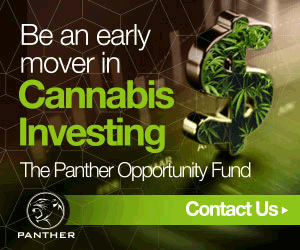 You will want to hear what Canopy Rivers sees as the best international investments. Joining Canopy is Sean McNulty of XIB Financial, Peter Miller of Slang Worldwide and Jonathan Rubin from Cannabis Benchmarks. MedMen will be in town to discuss the Economics of the Cannabis Consumer. Chief Marketing Officer David Dancer will talk about what MedMen has learned about the cannabis consumer. He’ll be joined by data providers Jeff Stein from Consumer Research Around Cannabis and Bethany Gomez of Brightfield Group. This consumer is not who you think it is and the data proves it. Of course, in this day and age, all companies must have an internet presence. Sean Dollinger, CEO of Namaste Technologies heads up a panel on the Economics of Cannabis E-Commerce. Namaste has been building an all-inclusive platform for cannabis consumers to learn, meet doctors and procure the right medicinal marijuana. Dollinger is joined by the best cannabis analyst on the street, Vivien Azer of Cowen & Co., Scott Boyes of MPX Bioceuticals and Peter Gigante from Eaze.